Since 2016, Sant Joan d’Alacant is part of more than 450 educating cities in the world. In 1990 the First International Congress of Educating Cities was held in Barcelona, culminating with the initial Charter of the basic principles for the educational impulse of the city. The Charter emphasizes the importance of education in the development of the inhabitants of the city. Its content has been modified throughout various congresses, but always under the foundations of the Universal Declaration of Human Rights (1948); the International Covenant on Economic, Social and Cultural Rights (1966); the Convention on the Rights of the Child (1989); the World Declaration on Education for All (1990) and the Universal Declaration on Cultural Diversity (2001). The preamble of the Charter emphasizes that the educating city must have its own personality within the country in which it is integrated, an interdependent identity of the territory to which it belongs. Therefore, the educating city is connected to its environment, and must develop in parallel with its traditions, paying special attention to the training, promotion and development of all its inhabitants. Therefore, this is the reason why in our website it is represented all the cultural, material and immaterial heritage that characterizes this municipality. The Charter is articulated through different chapters, many of which are intimately linked to aspects related to the preservation of the natural, social and cultural landscape. They highlight the importance that the Charter of Educating Cities gives to educational and awareness policies on cultural, tourist, environmental and territorial planning resources, subjected to the values of the landscape. Constituted as a permanent collaborative structure between the local governments committed to the Charter of Educating Cities, in 1994 it was founded the International Association of Educating Cities (IAEC) of which Sant Joan d’Alacant is active member. In Sant Joan d’Alacant we work intensively to fulfil the mandates inherent to the recognition of Educating City, looking for the elements of our own complex identity with the purpose of preserving and valuing it, making compatible the new ways of life with our customs and origins, working to offer an attractive image of our natural and social environment. Currently, the impressive heritage inherited throughout our history, closely linked to the development of the Horta d’Alacant, faces serious difficulties as a consequence of the decline in agricultural activity, together with the high maintenance costs required for the conservation of our assets. Preserving this valuable heritage lead us to implement policies that allow the diversification of our production sector, through economic activities compatible with the values of our territory. This challenge must be accompanied by educational and informational policies that help us to make our people aware of the value of our own landscape, material and immaterial, so that education becomes one of the basic pillars for the preservation of our identity.  The present webpage of Tourism Sant Joan is one of the instruments developed by the Town Council to promote the patrimonial resources of the municipality, addressed to our potential visitors and to our own residents. This does not only stimulate an incipient tourist sector that allows the generation of resources with which to attend to our heritage, but it also meets the information requirements established by the Charter of Educating Cities, by making available to the public an attractive and dynamic compendium of the main idiosyncratic values of Sant Joan d’Alacant. At the same time, we are making an important effort so the growth of our city is led by the harmony between the new needs and the perpetuation of the symbols that constitute the referents of our past. Our purpose is that the planning of the urban physical space attends to the needs of accessibility, encounter, relationship, play, recreation and a closer approach to nature. In this sense our Town Hall is gradually developing the instruments of urban planning that allow us to recognize and preserve our unique constructions and our traditional roads. The urban policy of our municipality also attends to the conservation and construction of parks and gardens equitably distributed by our urban area, providing places of encounter and well-being for our neighbours. We also work from the local government to provide the city with spaces, equipment and public services adequate for the personal, social, moral and cultural development of all our inhabitants, with special attention to children, youth and our elders. For this purpose we have the House of Culture and the Cultural Centre, headquarters of the Library and Municipal Archive, the Municipal Sports Centre and the Municipal Centre for Elderly People Salvador Gosálbez Alberola, just to name a few. Another obligation for the educating city involves promoting citizen participation from a critical and co-responsible perspective, providing the necessary information and promoting cross-cutting, orientations and training activities in ethical and civic values. Our municipality has more than forty associations related to education, health, sport, the elderly, youth, art, literature, cultural heritage, religion, music, holidays, consumer advocacy, trade, dance and a long etc. All these entities attest to the intense role of the civil society in the affairs of the town and in the different programs of public participation developed by the town hall. Sant Joan d’Alacant actively promotes health education. Throughout the year, our town council carries out numerous activities promoting healthy living habits and prevention, essential issues to preserve health. In addition, our town hosts the University Hospital and the Health Science Campus of the Miguel Hernández University. All this effort is made to guarantee the quality of life of our inhabitants through the balance with the natural and cultural environment, the right to a healthy environment, the right to housing, work, leisure and public transport, among others. Thus, education becomes the fundamental pillar that promotes respect for our environment, the coexistence between our diverse citizens and the progress of our people.